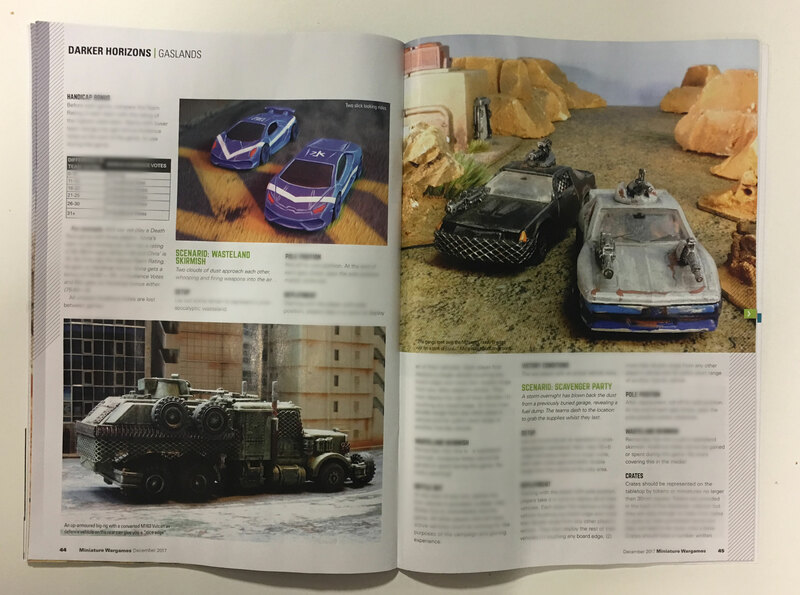 Forums › Official › Announcements › Gaslands appears in MINIATURE WARGAMES magazine! 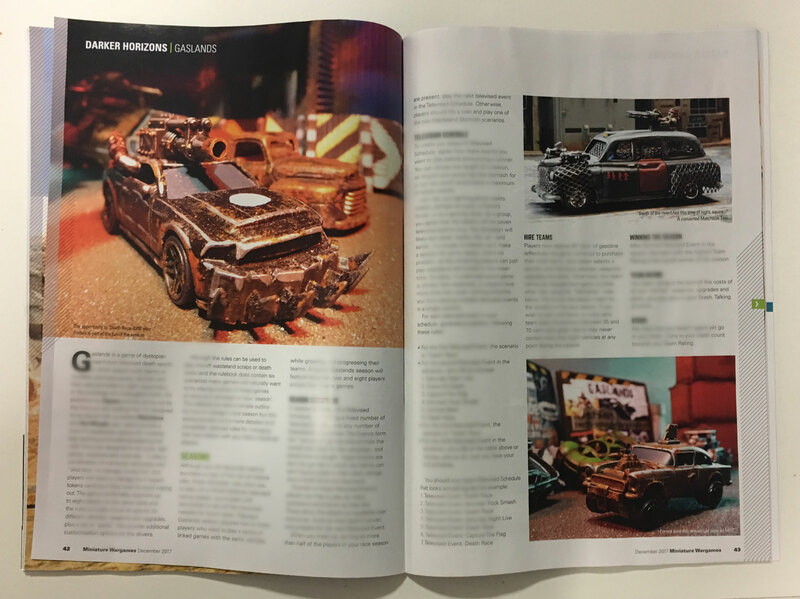 Topic: Gaslands appears in MINIATURE WARGAMES magazine! Super excited to have our first magazine article in support of the game available in UK stores this week! Excitingly, it contains a detailed campaign system that had to get cut from the final rulebook. Beta Playtesters will recognise some elements of it, but it’s an all new system, complete with TWO EXCLUSIVE SCENARIOS for the game! I bought a copy of this! This company does not make it easy to save their nonsense offline. 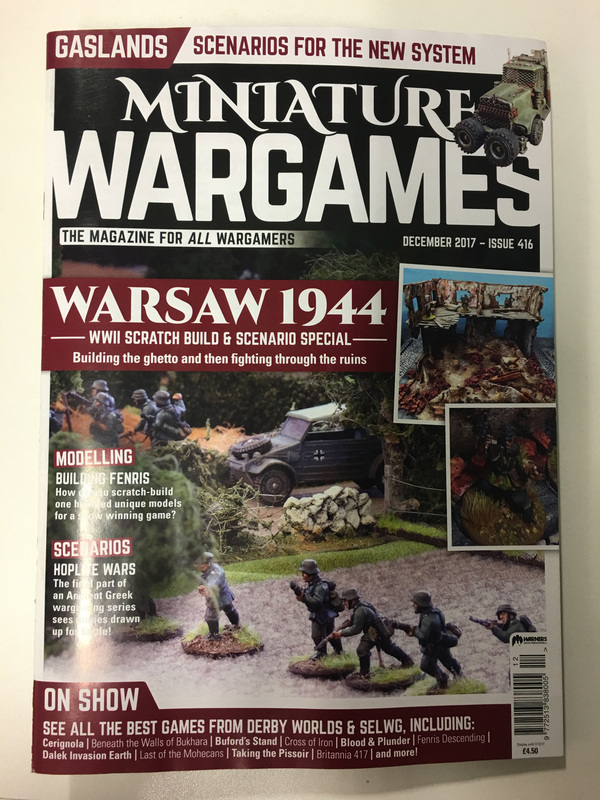 Is there any chance of these rules being made available on somewhere like RPGNow, or the Wargames Vault, or does Miniatures Wargames Magazine retain the rights to the articles ? I’ve been looking on their website and it appears to be impossible to get hold of back issues of this magazine. They have print copies of the last couple of months but nothing further back, which means they don’t have this issue. You also can’t buy digital back issues, only a digital subscription which starts from the current isdue. So I’d like to second Adam’s request. Is there any way to get hold of this article or have we just missed the boat? Sadly, I can find no option to purchase this issue. I’ve asked the guys there, and I’ll post back here once I get an answer. This is great source material! Can we print from the digital version or is it still possible that these rule will be available on there own or in a future supplement? I’m sure you can print a copy for personal use. Let me know if i need to remove this link but all advertising is good advertising right?! 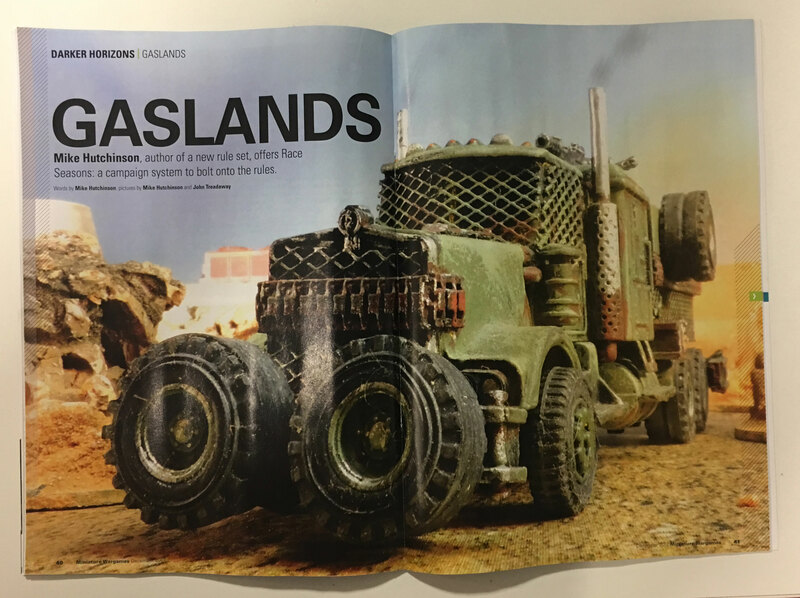 Keep the dream alive Mike – cant wait to see whats next for Gaslands!